Finisterre faced a huge backlash after announcing they'd be moving some production to China. Here, founder and CEO Tom Kay answers the criticism. Last week Finisterre announced they would be moving some of their production to China, prompting a lively debate on social media- you can read our summary of the various arguments from both side of the conversation right here. The majority of the response from consumers were critical in tone, so we decided to speak to Tom, the founder and CEO of Finisterre to give him the chance to answer some of the specific and recurring concerns raised. Finisterre have also released an official response on their website, which you can read here. WL: Firstly, and I’m sure it’s something that you’ve considered extensively, what are the primary reasons that you have always decided to have some of your production outside of the UK? I’d start off by saying that we get an increased proportion of our stuff made in the UK, more than ever before. Basically if we can make it here, we will, but equally, what people have to understand is that it’s more about the people and your relationship with them- there are good and bad products, stories and factories in Manchester, in Portugal, and China, you can’t be tied to any one location for making products. The relationship is the most important thing and if we feel that’s right, that’s what we base our decisions on. We are always looking to make the best product we can, in the most responsible way and some products suit being made in the UK, like our denim, like our Bowmont, like our knitwear. Those relationships have taken considerable investments in time and money to even get the supply chain going, particularly with the Bowmont story. Equally theres some things that are better made in Portugal and, in this instance, Asia. WL: People are concerned about the ecological impact of products being flown all round the world during the sourcing and assembly stage. You mentioned in your announcement that your decisions is partly in order to bring the assembly closer to where the materials are sourced, can you tell me a little bit more about that. Yes that’s right. The raw materials for our insulation jackets come from Japan and always have done, so in this instance its closer to the assembly place. 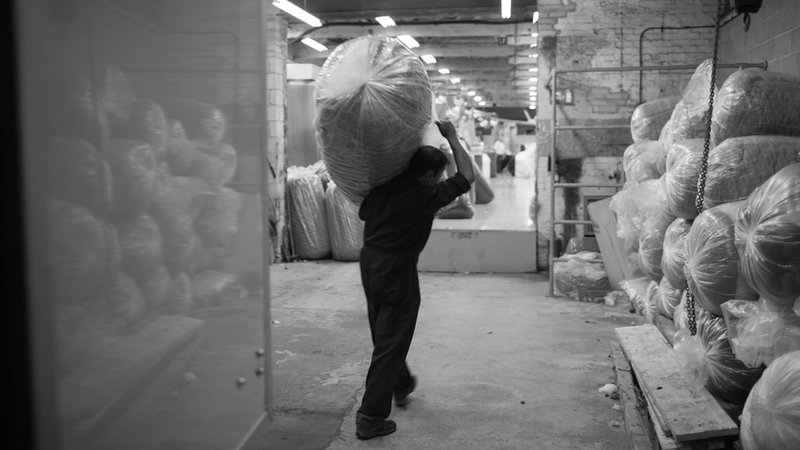 The recycled polyester that we make the jackets from is part of a closed loop recycling system- which we’ve been doing for 7 or 8 years. The synthetic fill is also recycled and comes from Japan. I think people have got this view of a factory in Asia, where it’s just people making cotton shirts. Actually the kind of jackets we’re talking about have zips, trims, elastic, fasteners, branding, fill, fabric- there are a lot of components that go into it and we have not found the right people to make this sort of high tech product in the UK. You can’t get away from the fact that its a global product and its a global economy that we as a brand operate in and we all live and work in. We recognise this and do all we can to mitigate our impact and make the best decisions we can in an open way; this has always been the case since I started the business, so there is no change in ethos. I’d also like to point out, which I think is really important, we’ve been doing this for 12 years. It’s one of the reasons I founded the brand and in no way has our way of working changed, in fact it’s grown, evolved and become stronger. When I started the brand there was nothing green in the surf industry whatsoever. 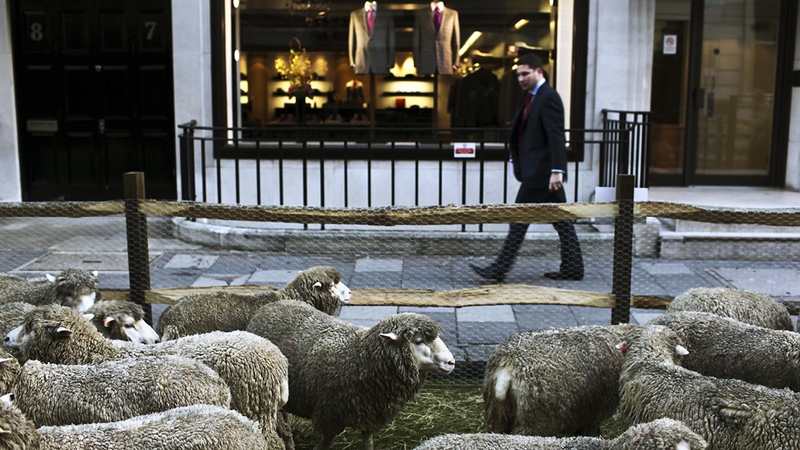 No one was using organic cotton, no one using recycled fabrics, no one was using Merino wool. People are very quick to forget how things have changed. They’ve obviously changed for the better which is great. But years ago there were brands that started doing all this green stuff because it was very much on trend, but they weren’t replacing their non organic cotton with the organic cotton, they were just adding some in. WL: In your blog post you talk about the stringent checks that you’ve put in place to make sure the people in that factory are being treated and paid properly. Do you feel like doing that as a foreign company you actually have the ability to affect positive change with regard to workers rights on a bigger scale in the host country, because your putting pressure on them to up their standards? WL: I suppose the tolerance in the country for people working in poor conditions and getting payed a pittance is reduced the more companies do what you do and work to better the conditions of your workers, so in that way I think it could have a really positive impact. Look at Patagonia, a brand who we’ve always looked up to, they are a half a billion dollar global company. They have in many ways proven that it is possible to create good product, in good conditions in these countries. Does it concern you China obviously have less strict regulation on waste management and the releasing of pollutants? Well I would say its just assembly of this product that is taking place in China its not the whole process. As mentioned the fabric comes from Japan which obviously has much tighter environmental regulations and it’s already recycled and part of a closed loop polyester recycling system, so essentially we could send the jacket back and it could be re-re-recycled into new product with the minimal addition of more polyester. But don’t get me wrong, I’m not saying there isn’t some ecological impact of what were doing. But that equally goes for places we work with anywhere, all we can do as a brand is work with the places that are run in the best way possible and use the best fabrics and design that we can so stuff lasts as long as possible. In a consumer society, we need a more responsible way of making stuff. So yes, of course it is a concern, so is a lot of what we do as surfers– it’s hard to get away from consuming in a way that doesn’t have a big effect on the planet, but we believe we can do it better. 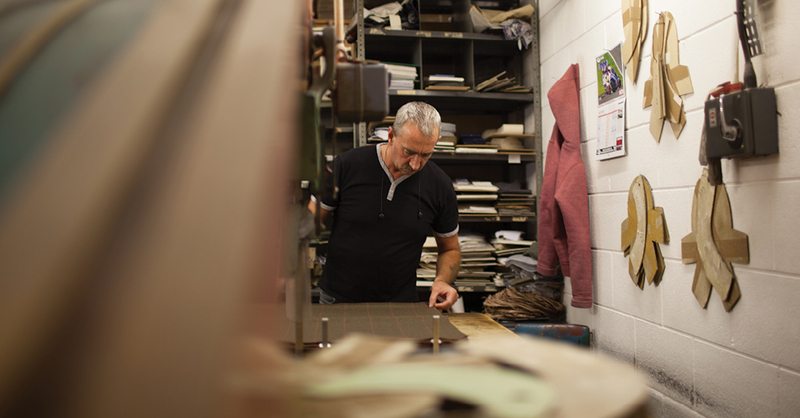 If you look holistically at what we do as brand- the products we make, where we make them, how they’re made and all the stuff we’ve invested in, over a considerable length of time, its largely a positive way of running a business. We are not saying that we don’t cause any damage but we try and mitigate that as much as we can, through use of fabrics and recycled polyesters and in our repairs process as well as building products that last as long as possible. The final question- and this is something that again cropped up in the comments numerous times on facebook- people are very concerned about the fact that China obviously has quite a bad record for human rights violations and by having some of your factories there you are – in an indirect way- supporting the government. You could say that guys going to Indonesia are supporting an oppressive regime, where do you draw the line with that argument? Most people will be on macs or Iphones – Apple are dredging up parts of Indonesia to get the minerals for their Iphones. Its frustrating people say we are being too expensive and then they write you off for doing something like this, it isn’t even a cost saving move, it’s looking at a better relationship and a better product. If there was the tech know-how in the UK to make our product they would probably cost you £500. So how’s that going to work? Would the people who are commenting on facebook be up for buying that product? I doubt it very much. With the help of our customers we can create a collective power- suddenly we’ve got a bit economic clout and a voice and can develop as a brand, make better products and put more pressure on these places to do things better. 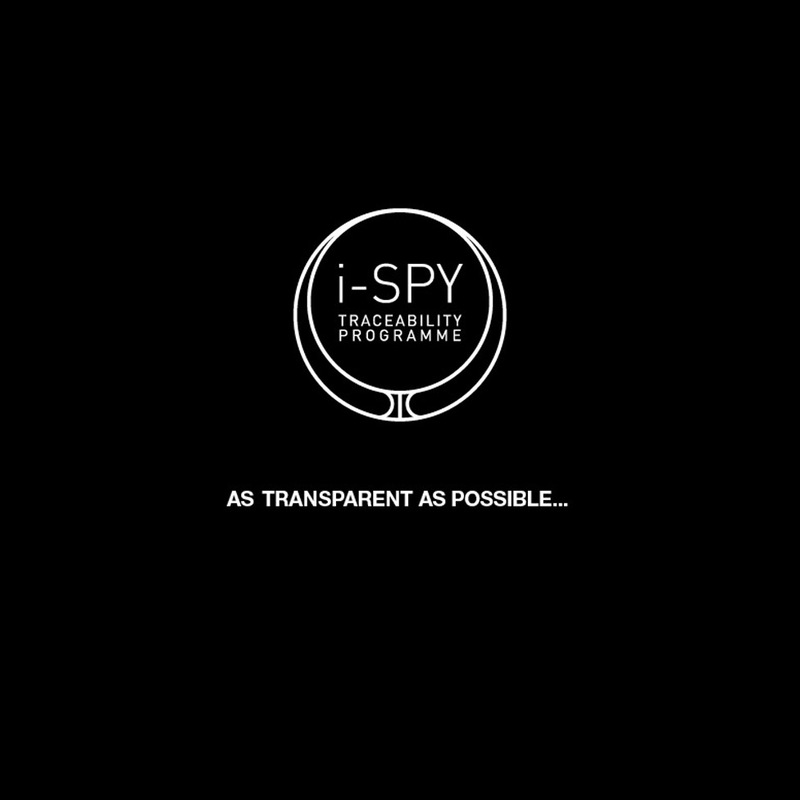 From my end, I also want to encourage people to read what we’ve put up about our transparency -really get into our ISPY traceability programmes, , we don’t use down, we work with recycled fabrics, we use fully traceable Merino, there’s so much that goes on here. I’d encourage people to ask questions, dig deeper. You saw how much flack Outerknown got for being so expensive when they started out, for what goes on here and for those that care, our stuff is good value; and we‘ve been investing and evolving these manufacturing relationships for 12 years! There’s people who might decide not to buy our products anymore and that’s totally their decision, but as a brand this is how we operate. We chose to put this information out there ourselves, this has sparked a good debate and we encourage that. By doing this, we’ve allowed people to make their own decision – I’d just encourage people to look beyond the facebook headlines. So yes I think that’s really positive how we work, you’d be hard pushed to find many other brands to operate in that way.